Sending large presentations by email can prove to be problematic because most mail services impose limits when it comes to the attachment’s size. 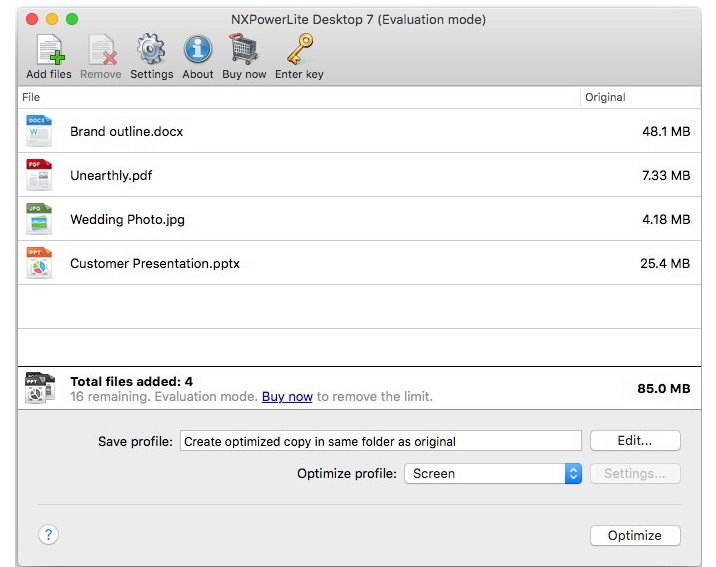 NXPowerLite Desktop is easy to use OS X app designed to help you reduce the size of JPEG images, of PDF files, and of Microsoft PowerPoint documents. Since NXPowerLite Desktop integrates batch processing capabilities, you can import any number of files, and the utility will take care of the rest. For your convenience, NXPowerLite Desktop also installs a Finder service that offers you the possibility to automatically attach the optimized file to an email via the contextual menu. NXPowerLite Desktop is able to reduce the size of your files by adjusting the JPEG quality, resizing images, deleting private application data or cropped areas, flattening embedded objects, or removing the EXIF data. Right off the bat, The built-in NXPowerLite Desktop optimization templates (Mobile, Screen or Print, with or without “flattening”) make everything even more user-friendly: just select the one that matches your needs. The same rule applies when it comes to saving the processed files: via the Settings panel you can pick the appropriate preset and NXPowerLite Desktop will either replace the originals and create a backup, or create optimized copies. The same area allows you to integrate suffixes or prefixes into the names of the output files, or to create a custom optimization preset. NXPowerLite Desktop proposes a streamlined workflow for dealing with presentation files that need to be shared with others faster, without compromising on quality. Regardless if you need to deal with a single file, or with a large number of documents, NXPowerLite Desktop integrates the appropriate workflows and can get the job done in no time, with minimum user interaction. 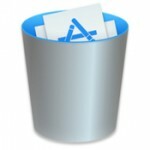 Removed unnecessary resources included in the downloaded software. Now 40MB instead of 79MB.